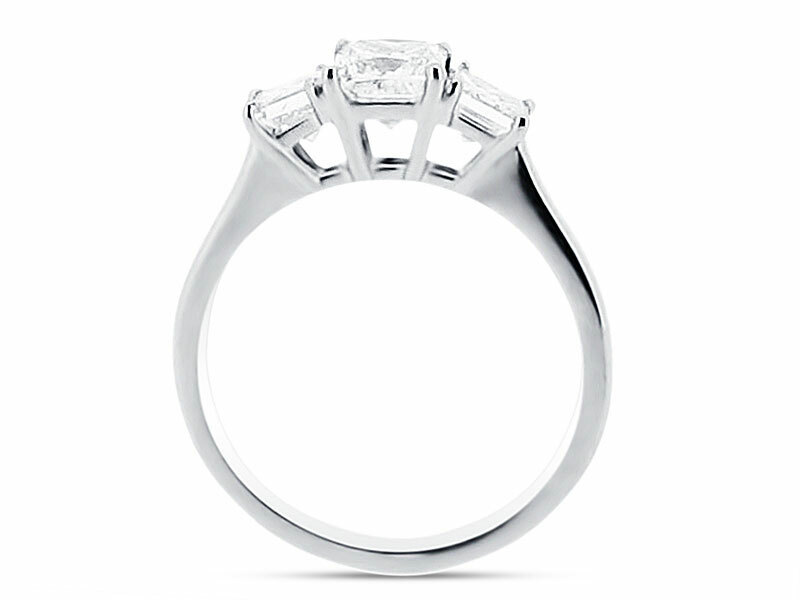 This is a stunning, and striking example of a trilogy ring. Asscher cuts look similar to emerald cuts with the most obvious difference being that they are square, as opposed to rectangular. 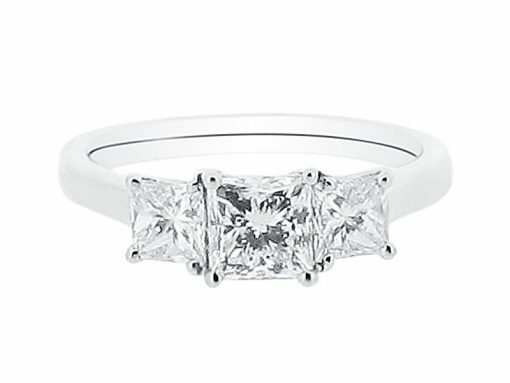 This cut features large step facets and a high crown that produces a brilliance unlike any other diamond shape. In fact, diamond experts often refer to the shine and sparkle of an Asscher cut diamond as an endless hallway with reflective mirrors. These diamonds symbolize elegance and class, and are a great choice for women who love the look of emerald cuts but want a square shape. Call or email today to arrange a consultation with one of our diamond specialists to view this and the other beautiful rings we have in stock.